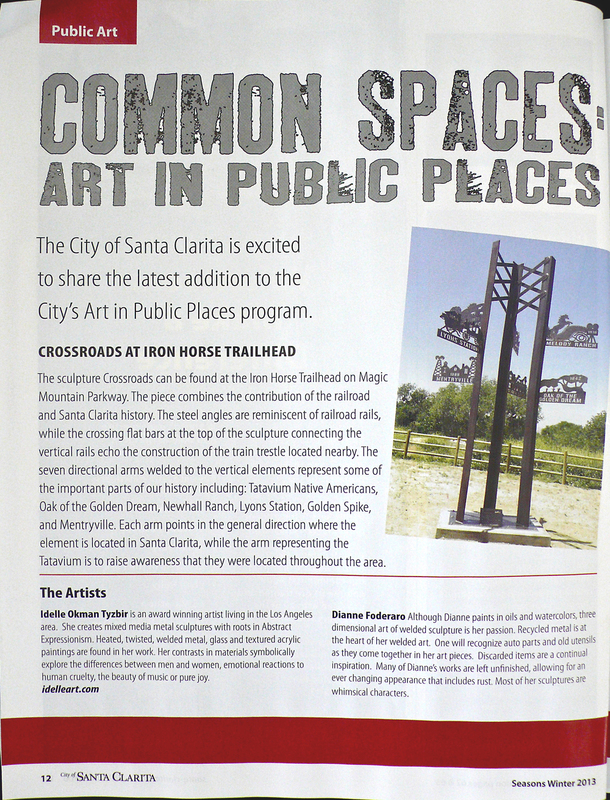 The public art sculpture Crossroads At Iron Horse Trailhead is on the cover of Seasons Magazine Winter 2013 from the City of Santa Clarita. The article is on page 12. The distribution of the magazine is 40 thousand. I am very happy to be on the cover and would like to thank the City of Santa Clarita for this opportunity.